If you lived in Concord in the 1970s and early 1980s, you may remember Bill Allman. Each year, he headed south like a snowbird from Alaska to Concord. Here he would rent a small room at the Hotel Concord and spend the winter months visiting family and old friends, sharing stories of his great adventures in the frozen north. Then each spring, the old gold miner and prospector would return to the life he loved in rural Alaska. The spring of 1984 was no different. As he had done for half a century, he headed out on May 30, 1984 to prospect for gold in the rough tundra near Marshall, Alaska, about 550 roadless miles north of Anchorage. He was taken by float plane to his claim on Tom Gray Creek, near the Yukon Territory and was to be picked up at a prearranged spot on July 18 for a return trip. But unlike previous excursions, this time he didn't show up. Bill Allman had disappeared without a trace. 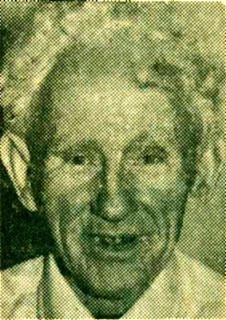 Bill was born Willis Watkins Allman on March 6, 1900 to parents Florence Robert Allman and Margaret Elmina Steele in Mecklenburg County. The family later moved to Concord and he went by the name William or "Bill". Bill was young when he struck out on his own seeking adventure in the west. He worked in the mines, on Scandinavian whaling ships and held jobs as an Arizona cowboy, a Washington lumberjack and a railroad employee. At age 18, he was drafted to serve in WWI. Although he never got to Europe, as an Army pilot he learned to fly, a skill which he would use throughout his life. After the war he tried working on commercial fishing boats in Alaskan waters but did not find it to his liking. In December 1922 he visited family in Concord but declared that after serving with the U. S. Forestry Service in Alaska, southern weather was uncomfortably warm. By 1923, Bill moved to Alaska permanently, joining two old trappers who taught him to survive in the wilderness. Bill is recognized as one of Alaska's Pioneers, with a lake and a mountain named after him. Over the years he prospected for gold, trapped, worked as a guide for hunters and for two years carried the U.S. mail via dogsled. His route, which ran 160 miles across Alaska, was made every 30 days for $100 per month. When he wasn't working his gold claims, hunting wild game or panning gold, he would mush across the Bering Strait into Russia, or lead wilderness expeditions that included the likes of Walt Disney. During the months-long darkness of Alaskan winters, he read encyclopedias in his small antler-strewn sod cabin on the Yukon River. During some of his spare time he would build miniature cabin dioramas that included a sod roof and a brass gun shell for the chimney. A meat cache and other normal cabin outdoor fixtures would also be included. After visiting with friends, he would often leave them with one of these dioramas. Marshall, Alaska today. Population in 2000 was 349. He put his experience as a WWI flier to use as a bush pilot. Like most bush pilots, he crashed a few times. In a 1983 Charlotte Observer interview Bill said that he did get hurt "pretty bad a time or two. I crashed in the woods once and I run over a cabin once and another time I ran over a bear. The bear got the worst of it." Other stories included getting clawed by a polar bear and being trapped on a drifting iceberg for 12 days. He was married once and had two daughters. One died of pneumonia at age 3. The other grew up to become an airline stewardess. When in her 20s in about 1953, she died in a plane crash somewhere between Vera Cruz, Mexico and Hong Kong. Bill and his wife were divorced and he never remarried. Although he had no family in Alaska, he was considered by many of the children of Marshall as a grandpa. It was only after brain tumor surgery in the 1970s and the increasingly arduous task of daily woodcutting to keep warm at night, that Bill was persuaded to leave Alaska and live in Concord for the winter months. But each spring he was anxious to head back north to the land he loved. That fateful summer of 1984, Bill's last known correspondence with family in North Carolina was just before he was dropped off at the lake 45 miles from Marshall. In a letter dated May 28 written to his niece, Ruby Womack of Charlotte, he stated, "This Alaska's a tough place to live...It's cold at night...ice is going out of the Yukon River now but big king salmon fish is running...it's daylight 24 hours a day. When he didn't show up at the designated pick-up spot on July 18, the National Guard, Alaskan state police, family and friends spent weeks combing the wilderness area where Bill should have been. One of his small survival trail cabins had been found burned, but corrugated metal from the roof had been salvaged and stacked at the site, indicating someone had been there after the fire. Another of his trail cabins was boarded up, as if it had been secured for the winter, but there was no sign of Bill. Eventually the search was terminated. As an Alaska Pioneer, Bill Allman became part of the lore of those whose spirit of adventure helped to settle the wilderness frontier. As Bill's nephew James Allman stated in 1984, "He loved Alaska; it was all he wanted, all he talked about, all he lived for. If Uncle Bill just dropped dead up there, the family feels that's the way he'd want it." This weekend we celebrated Mother's Day. It is not only a special day to honor women who have children, but also the women who have given of themselves for the betterment of the life of a child. Although Idelah Misenheimer Heilig of Mount Pleasant had ten children of her own, she is said to have helped bring into the world many more. Idelah (depending on the source it may be spelled Idella) also went by the name of Dilly and later Aunt Dill. 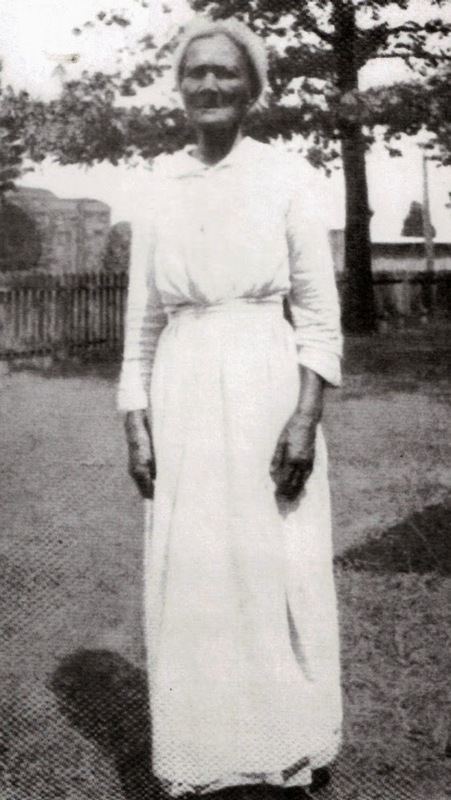 She was born in Stanly County on March 25, 1848 to slaves Abner Misenheimer and Edith (last name unknown). She was initially the property of Rev. Levi Shankle of Albemarle and moved to the Mount Pleasant area when she was age seven. In In 1860 she was willed to Shankle's daughter Martha along with another slave named Elmira. Martha Shankle married Jacob J. Misenheimer in 1855 in Cabarrus County and settled in Mount Pleasant. It is reported that Dilly may have been a wedding present to Martha. In the 1863 slave census, Dilly is listed as the property of J. J. Misenheimer and had a value of $1,400. After emancipation, Dilly married Harry Heilig in 1866. Harry was the former slave of L. G. Heilig, also of Mount Pleasant. Dilly and Harry had ten children, six of which survived to adulthood. Although neither Dilly or Harry could read or write, all the children attended school. Harry worked in a tanyard, perhaps that of L. G. Heilig, for that was his business. Sadly, Dilly became a widow sometime between 1885 and 1900, but she was a respected and beloved member of the community in her own right. In addition to rearing her own large family, "Aunt Dill" assisted numerous families in the community. Tradition states that she was a midwife and helped to deliver many of the children of Mount Pleasant, nursing approximately one hundred, both black and white. Late in life she went to live with her daughter Beulah in Asheville, where she died at the age of 93 on August 28, 1941. She left five surviving children, twenty-one grandchildren and fourteen great-grandchildren. Among her descendants were teachers, ministers and members of other professions. This former slave left a legacy to be proud of. She is buried at First Congregational Church cemetery in Mount Pleasant.